“Brash back to peddle his divisive policies,” said Green Party Co-leader Metiria Turei in a press release earlier this year. I’m backing Brash to peddle more of his divisive policies. Let’s not suppress fundamental issues. Let’s debate them! Police time and resources could be better deployed “in actually keeping us safe from real criminals intent on harming us”, he said. About 400,000 New Zealanders were cannabis users and that was their prerogative in a free society, he said. He drew on a report by the Global Commission on Drug Policy which, two months ago, said the international War on Drugs was a failure and recommended governments explore legalising marijuana and other controlled substances, he said. What better way to keep us safe from “real criminals intent on harming us” than to vote them out? In a brief statement today a spokeswoman for Prime Minister John Key said: “National has long held the view this would be a step in the wrong direction”. Police Minister Judith Collins said ACT’s cannabis policy was going in the wrong direction. 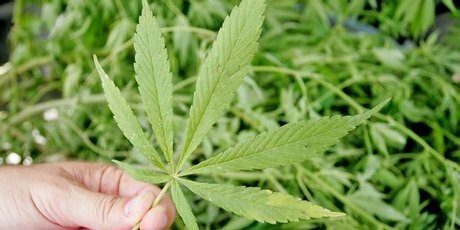 Family First national director Bob McCoskrie said Dr Brash’s calls to decriminalise marijuana was dangerous. I’m weak at the knees over Don’s approach to marijuana use. Small amounts of drug use or dealing aren’t that big a deal. And nor is saying so.